LANCASTER, PA, January 29, 2018 – Dutch Wonderland Family Amusement Park is preparing to create fun memories for guests and employees during the 2018 season. The park is on the search for outgoing and responsible individuals that will help make a difference and create lifelong family memories for guests by joining the Dutch Wonderland team. A variety of employment opportunities are available for students ages 16+, teachers, retirees, and anyone looking for one of the most exciting jobs in Lancaster, PA! 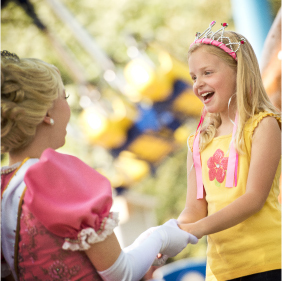 There are many ways for team members to create unforgettable memories at Dutch Wonderland through the exclusive perks and privileges offered throughout the season! Aside from meeting new friends, gaining valuable job experience, working a flexible schedule, and receiving a paycheck, team members can earn complimentary tickets to Dutch Wonderland, in-park discounts and much more! Dutch Wonderland also partners with many local parks and attractions so team members can experience other select locations for free! Plus, in order to congratulate the team on a job well done, a variety of themed employee events are held throughout the year. For those looking to take their job to the next level, Dutch Wonderland offers advancement opportunities to those who exhibit leadership and responsibility. Join the team for the 2018 season! Candidates must apply online at dutchwonderland.com/employment. Dutch Wonderland is an Equal Opportunity Employer. Dutch Wonderland, located in the heart of Pennsylvania Dutch Country, is a kingdom for kids and the perfect place for family fun. The theme park features over 35 rides, attractions, & shows, as well as camping accommodations at Old Mill Stream Campground, perfect for out of town guests. Dutch Wonderland is owned and operated by Palace Entertainment, one of the leading leisure park operators in the United States. Palace Entertainment owns and operates eight water parks, six theme parks, two animal parks, and five family entertainment centers across 10 different states. For more information, please visit dutchwonderland.com, or connect with us on Facebook, Twitter, and Instagram.